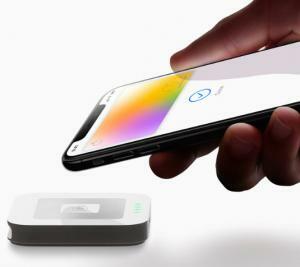 Analysis: Apple Announces Breakthrough with Apple Card, but is It Mostly Slick Marketing? | NFC Times – Near Field Communication and all contactless technology. Apple has unveiled its new credit card, Apple Card, designed to work with Apple Pay. Apple is hoping the card contributes significantly to its services revenue as it seeks to reduce its dependence on hardware sales. The card, being issued via Wall Street-based Goldman Sachs starting this summer, had already been reported on extensively since last year, and the card as unveiled Monday offers little in the way of significantly new features. But Apple’s cachet could help elevate it to a prominent place in its wallet. Article has about 1170 words.